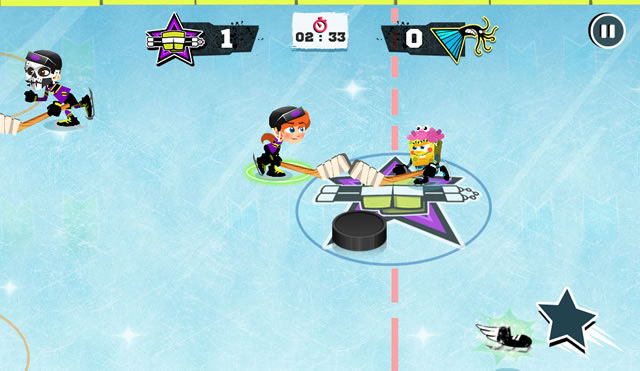 Become a hockey star in this cool game with the Nickelodeon's heroes like the ninja turtles, April, Spongebob and many other cool characters. 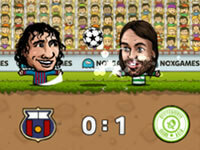 Play a quick match, or a tournament and customize your player's style. Have fun! 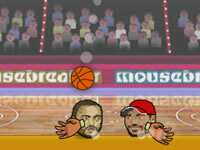 Use the arrow keys to move, Space to hit and Z for the special skill.